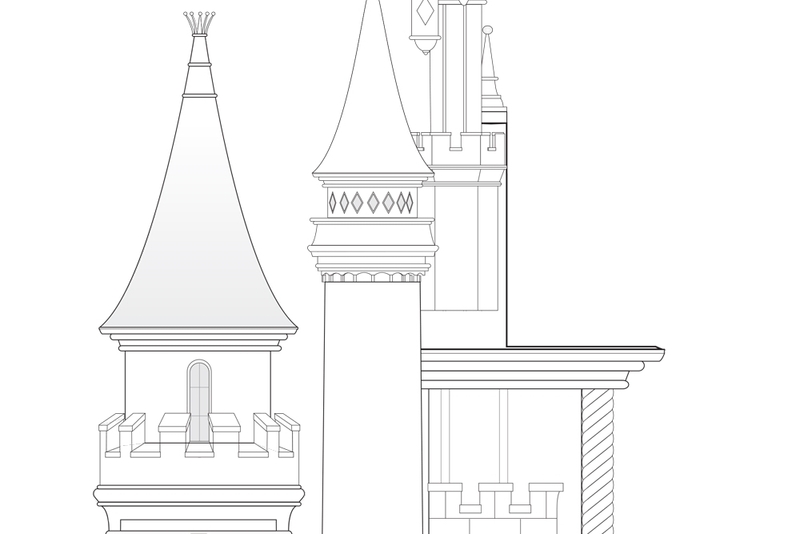 Propability undertook a project of epic proportions in 2011 and wowed the media, Disney and retail market when the Disney flagship store on Oxford Street unveiled a huge 10 metre tall ‘princess castle’. The store fast became a popular London attraction for children visiting the city. 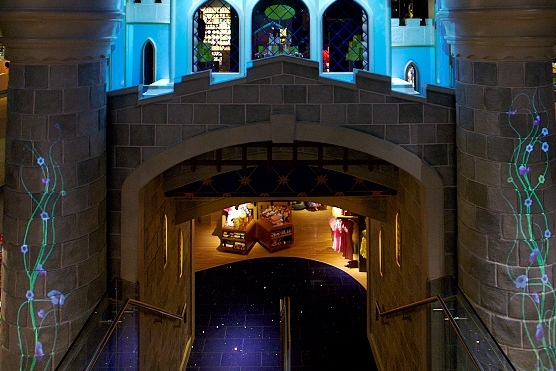 The castle, co-designed, manufactured and installed by Propability is the centerpiece of the store – built over the stairs as you walk down to the lower level - it is the first thing to be seen on entry and creates an awesome impression of what’s to come. Providing design and technical drawings, creating a 1:4 scale model, engineers reports and structural calculations - the entire manufacture was handled by Propability at our in-house workshop. Working under extremely tight deadlines, Propability nurtured the project from start to finish with the longevity of the construction specified for a minimum of a 5 year lifespan! The space where the 10 metre-tall castle needed to sit within the store had not been built when Propability started constructing the model and was not complete until 2 days before installation began. Solely working to architectural drawings the installation was one of Propability’s biggest challenges and greatest achievements to date. The build had to be millimetre perfect. With just 6 weeks to construct and install - to date this is the largest single piece ever manufactured at Propability. As the main staircase for the building runs right through the castle, the materials used had to comply with extremely stringent fire regulations. Every fine detail was considered and carefully designed – Propability even had tiles specially printed with unique designs that where fitted in the balcony at the rear of the piece. A castle in Oxford Street to rival the Queen's! The end result was spectacular and one of the most amazing castles under the Disney umbrella, including the parks, albeit at a much smaller scale. The store is a popular attraction for children and Disney lovers alike. The impact of the castle across the media world and retail industry was celebrated with much acclaim. Disney had produced a new retail concept and was leading the way – coining the phrase ‘retailtainment’ in collaboration with Propability. The feedback was incredible. 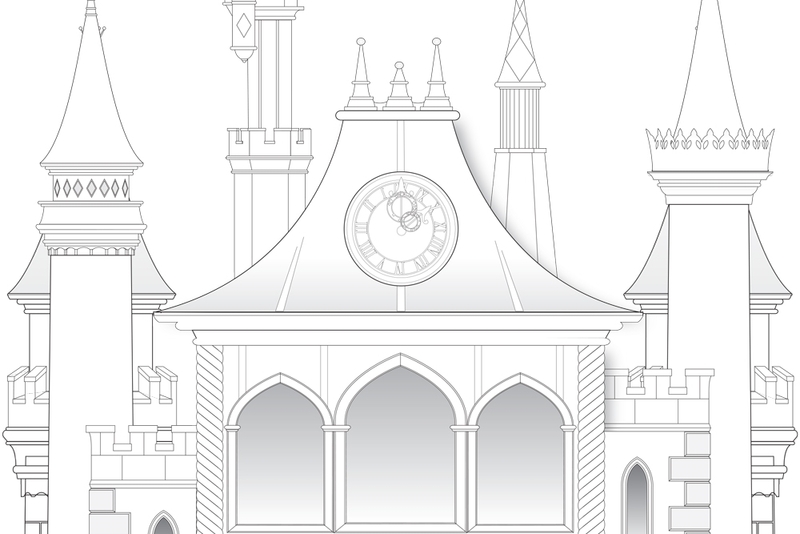 No one managing this project at Disney or anyone associated with the Disney Store had ever taken on something as large, spectacular or detailed within a store re-fit. When people walked in and saw it for the first time jaws literally dropped!